NVIDIA’s next generation virtual reality GPU will soon be here, and it’s all new. But how much more power is under the hood of the GTX 1080, the first graphics card based on the company’s new Pascal architecture? We pit the shiny new GPU against its older brother, the GTX 980 Ti to see how much more headroom the new card has for virtual reality experiences. At Nvidia’s recent special event in Austin, Texas the company proudly unveiled its latest entrant to the GPU race, the GTX 1080. Nvidia’s CEO promised that the new Pascal architecture not only delivered many new features targeted toward improving the virtual reality experience but also brought a new level of rendering performance too. 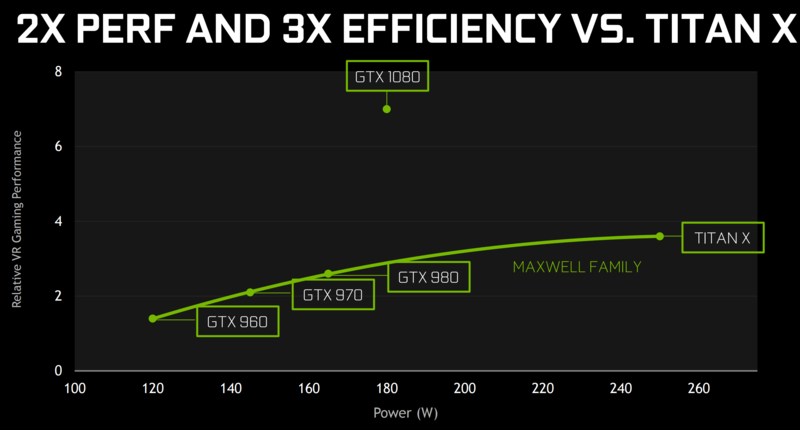 One of the more startling claims was that the new GTX 1080, which is due to launch May 27th, beats down Nvidia’s own current flagship card, the Maxwell-based Titan-X in terms of raw performance and, in certain VR applications can double it. Bold claims indeed, so we were understandably keen to find out for ourselves whether they held water and, being a publication focused entirely on VR, specifically if those gains translated into tangible performance for VR applications. Nvidia supplied us with a review GTX 1080 sample, a reference card in the ‘Founder’s Edition’ form factor. Nvidia’s new flagship card is the first in their latest 16nm process ‘Pascal’ line of silicon, and the GTX 1080 sports the latest GP104 GPU, fabricated using so-called ‘3 dimensional’ FinFet transistors (check this excellent explanation of the differences between standard MosFet and FinFet here). All this at a 16nm fabrication scale means the GTX 1080 now boasts over 7 billion transistors. The GTX 1080’s base clock of 1607MHz boosts at stock to 1733MHz under load and the card comes loaded with 8GB of GDDR5X VRAM. Check out the rest of the specs in the image to the right. Nvidia supplied Road to VR with a ‘Founders Edition’ of the GTX 1080 for review purposes, essentially a sleek looking reference design featuring a brand new cooler assembly design. 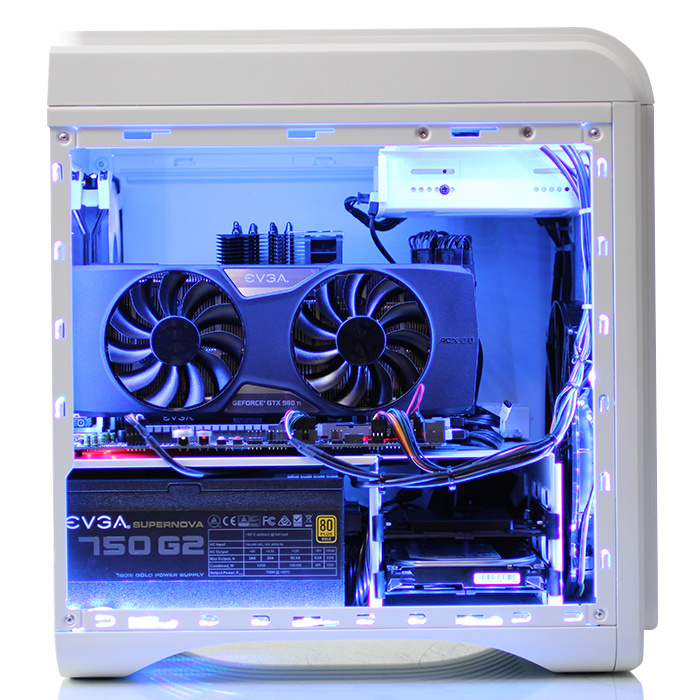 The Founders Edition featured here will go on sale from 27th May for $649 with 3rd party cards arriving later for around $599. Firstly, a caveat. Virtual reality benchmarking hasn’t even reached infancy yet. Solutions from both Futuremark and Basemark are in development and imminent, but neither were available in time to meet the lifting of Nvidia’s GTX 1080 embargo. Secondly, the ‘2x Titan-X’ performance claim is primarily based on gains seen by applications implementing Nvidia’s latest hardware and software initiatives, exposed through their suite of VR rendering API’s, VRWorks; specifically new features called Simultaneous Multi-projection and Lens Matched Shading, which claims to vastly improve the kinds of stereoscopic, multi-viewport rendering that VR relies on for immersion. However, there are no games or applications available which use VRWorks yet, or more specifically SMP and LMS. 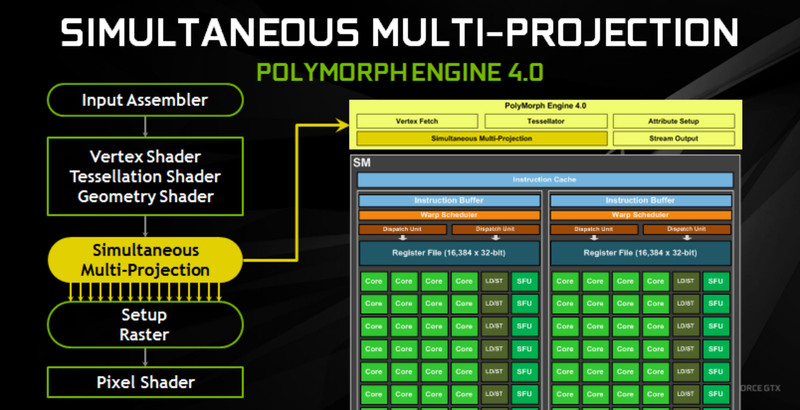 The new Pascal architecture also plays catch up to AMD and implements hardware asynchronous compute, the ability to utilise free GPU resource to process instructions in parallel. This really left us having to focus solely on raw performance, trying to measure its impact on the VR experience whilst also providing insight into those looking to upgrade their existing VR capable PCs. With no recognised synthetic or real world VR benchmarks available, we decided to gather numbers from a mix of 2D and VR titles. For standard gaming, the visually stunning and technically demanding workload of a maxed-out, high resolution Grand Theft Auto V. Alongside GTAV we needed a game to test Pascal’s DirectX 12 capabilities, for this we chose Rise of the Tomb Raider. Both titles handily come with integrated benchmarks. The GTX 1080 represents the effective replacement for the existing GTX 980, but in terms of initial pricing and performance we felt that the GTX 980ti was a closer and more helpful gauge of relative performance. Recognising the grunt available in both the 980ti and the 1080, we needed to push them hard, so we’re running all 2D benchmarks at 3440×1440. Beta drivers were supplied by Nvidia, with version 368.13 used throughout. AVADirect and Road to VR have teamed up to create Exemplar, our top-end system designed to push virtual reality experiences above and beyond what’s possible with systems built to lesser recommended VR specifications. Road to VR worked directly with AVADirect to create a system capable of handling the most demanding virtual reality experiences. Specification below. For this series of tests we used an Acer Predator X34 3440×1440 21:9 G-Sync monitor. G-Sync was disabled for all benchmarking. 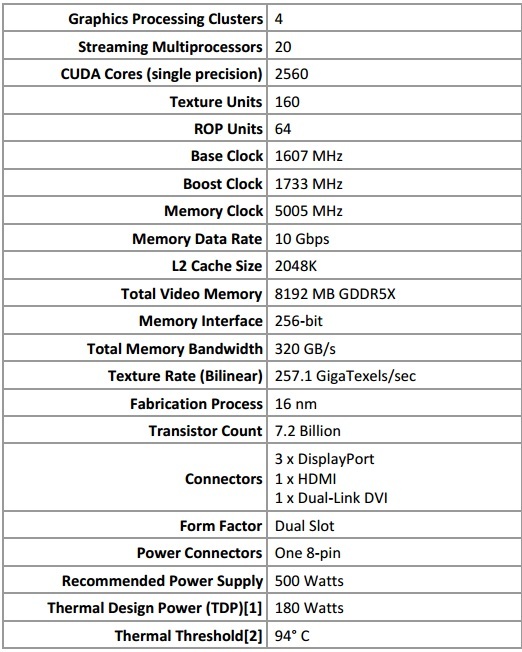 As the EVGA 980 Ti supplied in the Exemplar comes with a mild overclock, the card was reduced by 90GHz base clock to better represent a stock 980 Ti configuration, only fair as the GTX 1080 is also running at stock speeds. From 1/5/2018 we have decided to open comments on our pages to let our followers share their professional background. Thanks for choosing to leave a comment. Please keep in mind that all comments are moderated according to our comment policy and your email address will NOT be published. Please do NOT use keywords in the name field. Let's have a professional and meaningful conversation!